Boston — Massachusetts Attorney General Maura Healey today announced new resources in her office to support Merrimack Valley residents and businesses recovering from the devastating fires and explosions that rocked the area two weeks ago. 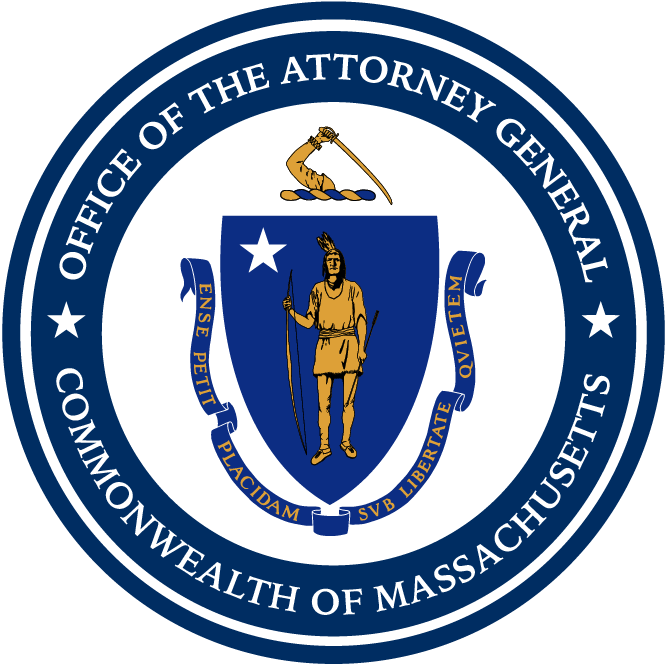 Residents and business owners with questions and concerns should contact the Attorney General’s new hotline at (617) 573-5370 in order to connect with specialists in the office who are able to handle questions about legal representation, home improvement scams, and insurance claims from homeowners, renters, and local businesses. The AG’s Office will also be sending staff to assist individuals at the claims center in Lawrence. In addition to being a resource for residents, lawyers from the Attorney General’s Office are directly in touch with Columbia Gas to make sure that the utility is preparing to fully and effectively compensate impacted individuals and businesses. This week, AG Healey also sent Columbia Gas and NiSource orders to preserve documents for a potential state investigation. Earlier this month, in response to this incident, AG Healey issued an advisory about giving wisely to charities and knowing your consumer rights. Today, the AG’s Office is offering additional resources and advice to residents in need of support. The AG’s Office warns impacted residents and businesses not to be pressured into signing up for legal representation they do not understand. The AG’s Office also advises residents to watch out for dishonest individuals who falsely hold themselves out as attorneys and provide advice and services they are not qualified or legally allowed to perform. The AG’s Office is urging residents to take precautionary steps to avoid such fraud (sometimes called “notario” fraud). Advise you as to whether you should apply for benefits or protections. Explain your legal options and give you legal advice. Do not sign a contract or agreement you do not understand. You can ask to have these documents translated into your native language. Never sign a blank form. Make sure you read and understand all the information on any form that you sign. Get copies of documents. Get copies of every document that you sign and keep all of your original personal documents. Get receipts. Insist on a receipt for every payment you make, including cash payments (but beware of anyone who insists on cash payments). Promises you will recover money or promises to pay you now for a settlement that has not happened yet. Insistence on payment in cash or money orders, which makes it easier for a non-lawyer to deny having received payments. Anyone who asks you to lie or conceal information. Anyone who asks you to conceal his or her involvement. If a lawyer is legitimate, he or she should disclose their involvement to everyone involved. File a complaint against an attorney. If you have complaints against an attorney, you can contact the Attorney and Consumer Assistance Program (ACAP) of the Massachusetts Board of Bar Overseer, at https://www.massbbo.org/Complaints or at (617) 728-8750. Find an attorney. If you need help finding an attorney, you can visit https://www.mass.gov/info-details/finding-a-lawyer. Many affected residents and businesses have questions about how to recover for losses. Before making any insurance claim, impacted individuals and businesses should first consider exhausting the claims process through Columbia Gas. Importantly, for anyone who has suffered damage or been displaced, the AG’s Office advises that you make a list of damaged or destroyed items in your home or business, save receipts relating to expenses, and document any damage with photographs and/or written descriptions. Greater Lawrence Property Claims Helpline. Impacted residents and businesses should file a claim regarding loss or damaged property with Columbia Gas. The helpline is staffed 24-hours a day to receive claims of loss or damaged property: (800) 590-5571. Shop wisely. When selecting a contractor, make sure that the job is completed at a reasonable price and the work is conducted in a safe and responsible manner. Ask your friends and neighbors for recommendations about contractors they have used and trust. Always ask contractors for references. Research. Check to make sure your contractor is registered with the Massachusetts Office of Consumer Affairs and Business Regulation. This will allow you to check any complaint history. Some consumers also file complaints about home improvement contractors with the AG’s Office. The existence of a complaint does not necessarily mean that a particular contractor is not reputable. Solicitations. Be extra cautious if a contractor solicits business by the phone or by knocking on the door. Get it in writing. Make sure you obtain a written contract or price estimate that details the job that will be done. For more complex projects, ask for an itemized estimate. Upfront fees. Be wary of contractors who demand the full price of the work up front. Reputable contractors typically require a portion of the fee upon signing the contract and the remainder when the job is done. (Some ask for a payment in the middle of the work, depending on the scope of the project.) For home improvement projects that exceed $1,000, consumers cannot be required to make a deposit of more than one-third of the project price in advance, except for orders of custom-made materials. For more information or assistance, contact the Attorney General’s dedicated hotline for Merrimack Valley residents at (617) 573-5370. It is open Monday through Friday from 10 a.m. – 4 p.m.
La oficina de la Fiscal General envió órdenes a Columbia Gas y a NiSource para que preserven documentos para una posible investigación estatal. BOSTON – La Fiscal General de Massachussets, Maura Healy, anuncio hoy nuevos recursos que su oficina ofrecerá para apoyar a los residentes y negocios del Valle del Merrimack que se recuperan de los devastadores incendios y explosiones que impacto el área hace dos semanas. “Quiero que los residentes y los negocios en el Valle de Merrimack sepan que mi oficina está aquí para ayudar y durante el tiempo que sea necesario,” dijo la Fiscal General Healey. “Estamos comprometidos a responsabilizar a los responsables y a proteger a los propietarios de viviendas, inquilinos y negocios de cualquiera que trate de aprovecharse de este desastre. "El enfoque en Lawrence ha sido y continuará siendo el asegurarnos que nuestros residentes reciban servicios de gas restaurados para que puedan tener acceso a duchas con agua caliente y cocinar, devolviendo la vida a la normalidad para ellos", dijo el alcalde de Lawrence, Daniel Rivera. "Quiero agradecer a la Fiscal General Maura Healey por venir hoy a Lawrence y compartir los recursos para ayudar a los residentes a identificar a los abogados estafadores que sólo tienen sus propios intereses a mano". Los residentes y dueños de negocios que tienen preguntas y preocupaciones deben de contactar la nueva línea telefónica de la oficina de la Fiscal General al (617) 573 5370 para conectarse con especialistas que pueden responder preguntas sobre representación legal, estafas de reparaciones a su hogar, y reclamos de seguro de propietarios, inquilinos, y negocios locales. La oficina de la Fiscal General también estará enviando personal para ayudar a las personas en el Centro de Reclamos en Lawrence. Además de ser un recurso para los residentes, abogados de la oficina de la Fiscal General están en contacto directo con Columbia Gas para asegurarse de que la compañía de utilidades se prepare para compensar de manera completa y efectiva a las personas y negocios afectados. Esta semana, la Fiscal General Healy también envió órdenes a Columbia Gas y a NiSource para que preserven documentos para una posible investigación estatal. A principios de este mes, y en respuesta a este incidente, la Fiscal General Healy emitió un aviso sobre dar sabiamente a organizaciones benéficas y conocer sus derechos como consumidor. Hoy, la oficina de la Fiscal General está ofreciendo recursos adicionales y consejos para los residentes que necesitan el apoyo. La oficina de la Fiscal General advierte a los residentes y negocios impactados a no ser presionados a inscribirse en una representación legal que no entienden. La oficina de la Fiscal General también aconseja a los residentes a estar alertos de personas deshonestas que falsamente se identifican como abogados y dan consejos y servicios que no están cualificados o legalmente permitidos a dar. La oficina de la Fiscal General les urge a los residentes a tomar medidas preventivas para evitar estas estafas (a veces también se le llama estafas de “notarios”). Nunca firme ningún contracto o acuerdo que no entienda. Puede solicitar que estos documentos se traduzcan a su idioma nativo. No firme formulario en blanco. Asegúrese de leer y comprender toda la información en cualquier formulario que firme. Obtenga copias de los documentos. Obtenga copias de cada documento que firme y guarde todos sus documentos personales y originales. Obtenga recibos. Insista en un recibo por cada pago que realice, incluyendo los pagos en efectivo (pero tenga cuidado con cualquiera que le insista que haga el pago en efectivo). Promesas de que recuperará el dinero, o se compromete a pagarle ahora por un acuerdo que aún no ha sucedido. Las insistencias de pago en efectivo o giros postales, lo que facilita que un abogado falso pueda negar haber recibido los pagos. Cualquier persona que le pida que mienta y oculte información. Cualquiera que le pida que oculte su participación. Si un abogado es legítimo, él/ella debe revelar su participación a todos los involucrados. Presentar una queja contra un abogado. Si tiene quejas contra un abogado, póngase en contacto con el Programa de Asistencia para el Abogado y el Consumidor (ACAP) de la Junta de Supervisores de Massachusetts, en la página web: https://www.massbbo.org/Complaints o llame al (617) 728-8750. Para buscar por un abogado: Si necesita ayuda para encontrar un abogado, puede visitar: https://www.mass.gov/info-details/finding-a-lawyer. Muchos residentes y negocios afectados tienen preguntas sobre cómo recuperarse de las pérdidas. Antes de realizar un reclamo de seguro, las personas y negocios afectados primero deben considerar terminar el proceso de reclamo a través de Columbia Gas. Es importante destacar que para cualquier persona que haya sufrido daños o haya sido desplazada, la Oficina de la Fiscal General recomienda que haga una lista de artículos dañados o destruidos en su hogar o negocio, guarde los recibos relacionados con los gastos y documente cualquier daño con fotografías y/o descripciones por escrito. Línea de ayuda de reclamos de propiedades del Greater Lawrence (en inglés Greater Lawrence Property Claims Helpline). Los residentes y los negocios afectados deben presentar un reclamo con respecto a la pérdida o propiedad dañada con Columbia Gas. La línea de ayuda cuenta con personal las 24 horas del día para recibir reclamaciones de pérdida o daños a la propiedad: (800) 590-5571. Compre sabiamente. Al seleccionar un contratista, asegúrese de que el trabajo se complete a un precio razonable y el trabajo se lleve a cabo de manera segura y responsable. Pídale recomendaciones a sus amigos y vecinos sobre los contratistas que han usado y en los que confían. Siempre pídales referencias a los contratistas. Investigación. Verifique que su contratista esté registrado con la Oficina de Asuntos del Consumidor y Regulación Comercial de Massachusetts (en inglés Massachusetts Office of Consumer Affairs and Business Regulation). Esto le permitirá verificar cualquier historial de quejas. Algunos consumidores también presentan quejas sobre contratistas de mejoras en el hogar con la Oficina de la Fiscal General. La existencia de una queja no significa necesariamente que un contratista en particular no sea confiable. Solicitaciones. Sea extremadamente precavido si un contratista solicita negocios por teléfono o le tocan su puerta. Obténgalo por escrito. Asegúrese de obtener un contrato por escrito o un presupuesto que detalle el trabajo que se realizará. Para proyectos más complejos, solicite un presupuesto detallado. Honorarios por adelantado. Tenga cuidado con los contratistas que exigen el precio completo del trabajo por adelantado. Los contratistas de buena reputación generalmente requieren una parte de la tarifa al firmar el contrato y el resto cuando se realiza el trabajo. (Algunos solicitan un pago a mitad del trabajo, según el alcance del proyecto). Para proyectos de mejoras en el hogar que superan los $ 1,000, no se le puede exigir a los consumidores que realicen un depósito de más de un tercio del precio del proyecto por adelantado, excepto por pedidos de materiales hechos a medida. Para obtener más información o asistencia, comuníquese con la Oficina de la Fiscal General en la línea directa de asistencia telefónica dedicada para los residentes en el Valle del Merrimack al (617) 573-5370. Está abierto de lunes a viernes de 10 a.m. - 4 p.m.